Hey Mr. Wilson! Should I repair my air conditioner or replace the unit? There’s a few “if” and “or” issues here when it comes to air conditioner repair or replacement. It’s complex and our AC technicians are the professionals to help you make that choice. In general, repairing your AC is a fix to a major component of the unit that is safely worked on without impacting the HVAC system. Repairs are usually best suite for AC motors, HVAC electrical, AC mother boards and other components. Replacement is expensive. We run a reputable company and only sell quality equipment. If you’re looking for discounts… you get what you pay for. With that said, what we will advise you on is your who HVAC system – cooling, heating, and duct work. It all works together for efficiency, comfort and safety. We have many brands to choose from and will help you balance the replacement cost with quality equipment. Each house is unique which means our technicians will take their time in assessing your home. We need to look at attic insulation, windows, rooms, duct work, drain lines, electrical, and more! Your family’s safety and comfort are Mr. Wilson’s priority! No exceptions. From time to time our dealers offer incentives and sales. We can pass those savings on to you. Please ensure you follow us on social media, Facebook and Google+, for timely notices and check out current offers on our website. If you’re a Mr. Wilson Air Service Agreement customer we routinely send out notices via mail and email. Make sure you opt-in for our email notices so we can better inform you or air conditioner deals available to our customers. 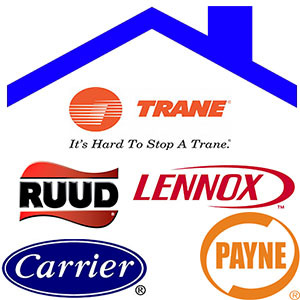 We also have financing referrals to help you with your purchase if you want to replace now or if you’re not ready for an emergency expense should something fail with your current system that warrant a completely new air conditioner unit.